Richard Bauder, Axel Eiser, Stefan Knirsch, and Carsten Nagel were charged with multiple counts of violating the Clean Air Act, committing wire fraud, and conspiracy to defraud the United States. All of them ran different parts of Audi’s engine development and testing divisions, and worked on the diesel engines that used “defeat devices” to cheat EPA emissions tests. None of the four are in custody, and all are believed to be in Germany, according to Reuters. The total number of people who have been charged in the US over alleged involvement in Dieselgate is now 13. Volkswagen Group pled guilty in US court in 2017, and has agreed to pay back more than $20 billion to states, dealers, regulators, and individual owners. Multiple former executives are in prison, and Volkswagen’s CEO at the time — Martin Winterkorn — swiftly resigned when the news broke in 2015. Ripple effects were still showing up, even before Thursday’s indictments. Audi’s CEO was forced out in October after he was arrested by German authorities. The European Union’s antitrust regulators are also investigating whether Volkswagen, BMW, and Daimler (the parent company of Mercedes-Benz) colluded to slow the rollout of better emissions technology. And Winterkorn has been indicted in the US on charges similar to the ones announced Thursday, though he remains in Germany. The new indictment offers some of the clearest detail about how Audi’s scheme played out. Bauder and another diesel engine development lead, Zaccheo Giovanni Pamio (who was indicted in 2017), began designing a new 3.0 liter diesel engine in 2006 that was meant to be used in cars that would be marketed as “clean diesel,” according to the indictment. This engine was designed to use a technology that reduced emissions of harmful nitrogen dioxide, or NOx. The tradeoff, though, was that the cleaner the tailpipe emissions got, the worse the engine’s fuel economy became. To get around this, prosecutors say that Bauder directed Audi employees to design the defeat device that made it possible to cheat emissions tests. In short, what they came up with was a piece of software that could recognize when a car was going through the EPA’s emissions tests. It would then restrict emissions to a level that complied with the standards. But when the car got back out onto the open road, it would emit up to 40 times as much NOx as was legally allowed. Some Audi engineers told Bauder in 2008 that the company would have to cheat to pass emissions testing with the design that was in place, according to the indictment. One supervisor in the automaker’s registration and testing department even confronted him and told Bauder to kill the plan, while ther employees told Eiser, who was charged Thursday, the same thing in 2010 and in 2012, prosecutors say. When Knirsch took over Audi’s engine development division in 2013, employees underneath him (as well as some from the registration and testing department) warned him that the 3.0-liter engines weren’t compliant, the indictment states. In response, Knirsch asked the registration and testing department to assess the risk of being caught by US authorities. Nagel, another one of the employees charged Thursday, was present for these discussions according to prosecutors. In the risk assessment, the employees determined that it would be “simple” for authorities to discover the cheat, and they warned Knirsch and Nagel that “companies had suffered ‘severe penalties,’ ‘exceptionally strong’ ‘negative publicity,’ and a ‘lasting’ impairment of the relationship” with US regulators, according to the indictment. But at this point, some of the cars with the 3.0-liter diesel engines were already on the road. Knirsch declined to take any action, according to prosecutors. The Dieselgate scandal began to unfold in 2014 when West Virginia University’s Center for Alternative Fuels, Engines and Emissions performed a study commissioned by the International Council on Clean Transportation. They discovered massive discrepancies in emissions levels of 2.0-liter cars from Volkswagen when tested in the real world versus in a lab. (Volkswagen’s vehicles were eventually found using the same kind of defeat device.) 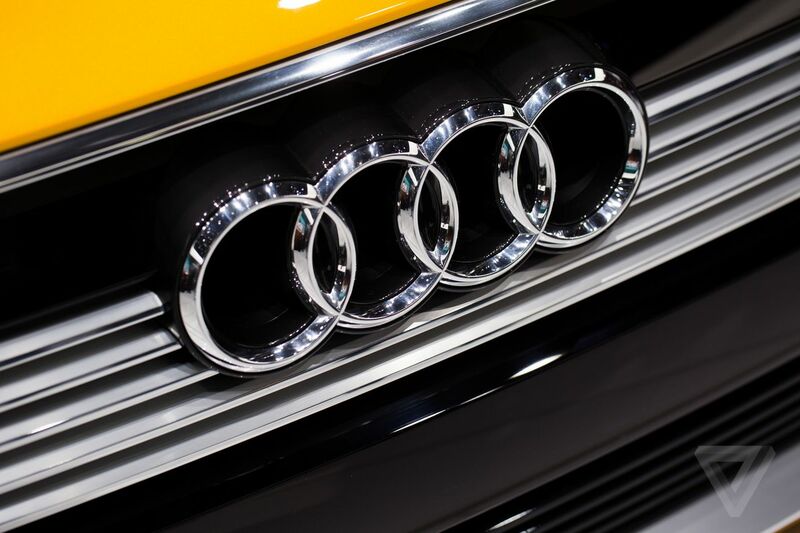 The issue was escalated to California’s Air Resources Board (CARB), which in turn told Audi that it wouldn’t certify its new 3.0-liter vehicles unless the automaker could prove they didn’t have the same emissions problems. In response, Oliver Schmidt — who ran Volkswagen’s environmental and engineering office in the US, and is now in prison — emailed Knirsch, saying that “our worst fears have come true,” and that the company “urgently need[s] help with arguments,” according to the indictment. Prosecutors then say that Nagel, Pamio, and other Audi employees lied to CARB about the compliance of its vehicles. The cars then received certification under false pretenses, and Bauder, Eiser, Knirsch, Nagel, Pamio, and other co-conspirators went on to market them as “clean diesel,” according to the indictment.